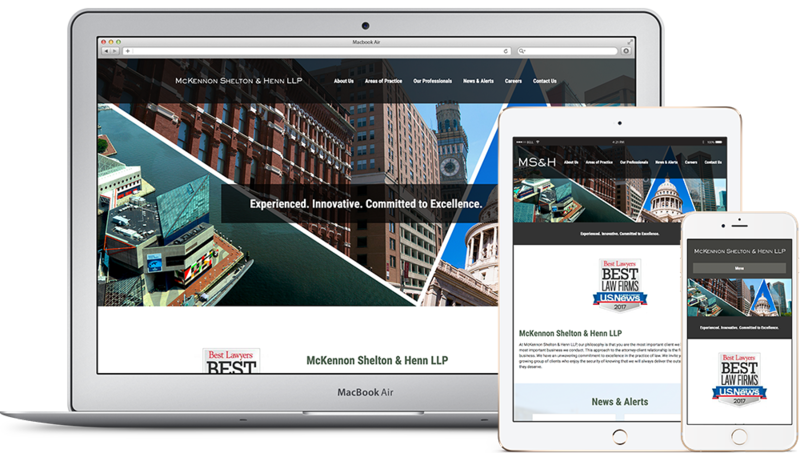 Zest partnered with McKennon, Shelton & Henn LLP to create a site which was sleek, modern and responsive. Custom design layouts, brand images and stylized typography worked harmoniously to reflects the firm's strong brand as well as the high quality of service that they provide. The redesign of the Mckennon, Shelton & Henn website was based on a desire to make the site user friendly, modern and easy to navigate. 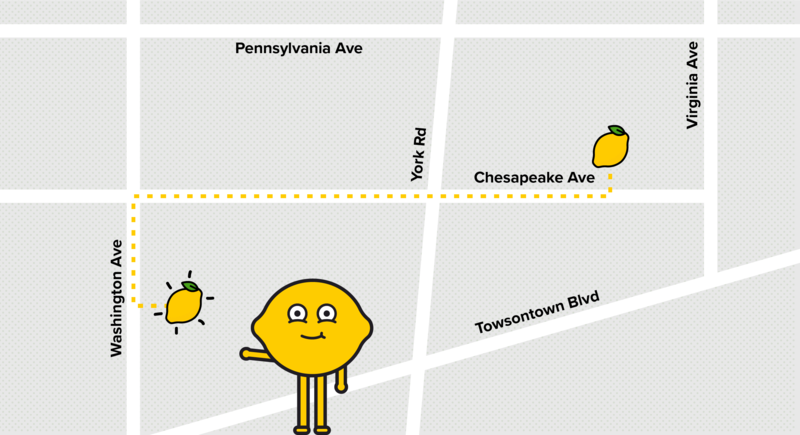 It started with a base wireframe design which incorporated the use of large modules.The Home Page features a mosaic style image of Baltimore and Washington DC. In an effort to continue the sleek and modern look, Zest created custom icons to represent the the firm's Areas of Practice. Typography played a essential role in the redesign of the site. The typeface used throughout the website is one font family, Roboto. The font is described as "modern, yet approachable" and when paired with the MSH brand elements, created a professional, sleek look. McKennon, Shelton & Henn's Home Page features large module sections to highlight the most important parts of the firm's work. The user can scroll down through the homepage to see a brief overview of the firm's History, Recent Posts and Community Commitment. Brand images and colors were used within each section to create a cohesive design from top to bottom. Zest worked to make the inner page experience of McKennon Shelton & Henn's website informative yet engaging. The firm's brand elements were intertwined through color usage or background images creating a cohesive feel across all pages. Bold tag lines like "Working as a team to achieve success." and "Quality representation with the drive to succeed." can be found throughout the site to enforce the MSH brand. One driving factor behind the redesign of the McKennon Shelton & Henn website was to incorporate a responsive design so a user's experience is seamless across various viewing devices. Many of the modules used on the site were designed specifically for MSH with responsiveness in mind so that each viewing experience is custom and precise for the user.